The NCSC (National Coal Supply Corporation) is motivated by a sense of national responsibility for establishing reliable sources for coal purchase, and ensures continuous coal supply to Israel. The company maintains compliance with the relevant environmental standards for coal used in Israel, and is well prepared to ensure sufficient sources for coal which meet these standards. Most of the company’s employees are university graduates, who invest significant efforts in studying the market, obtaining information and performing professional data analysis. The company’s professionalism has enabled it to win high esteem in the global market. The company strives to uphold a high level of credibility in Israel, due to its ability to deliver results for over three consecutive decades, as well as with global suppliers, based on its financial stability and payments ethics. The company provides ship agency services to shipping companies with whom it operates, viewing this as an instrumental tool for maintaining close relations with these companies. The NCSC is a government company, which operates as a commercial company in its conduct with suppliers and its independent decision-making in areas relevant to its activity. The company’s purchase and shipping transactions are designed to obtain the best terms possible under existing market conditions, as well as minimize costs. The company’s human resources are its most important asset. The company places high value on selecting excellent employees who remain with the company for the long term, are team players and contribute to its stability and credibility. Over 50% of company employees are women. The company’s payment ethic has established its position as a credible entity which enjoys an open line of credit with suppliers, with no securities. In-depth understanding of the market, players, trends and prices, along with financial planning capabilities and long-lasting financial credibility across many years, enable the company to obtain exceptional trade outcomes and save hundreds of millions of dollars in coal procurement and shipping costs. The coal procurement and shipping markets still uphold old-world values such as the Word of Honor. The credit rating of companies in the field of coal procurement and shipping builds gradually, based on their payments ethic and on honoring obligations even when pre-fixed contracts generate losses in the face of changing market conditions. The ability to attain an open line of credit for coal purchase and to obtain attractive transactions based on below-market prices depends on the suppliers’ trust and their confidence that they will receive payments on time. The NCSC enjoys this type of reputation. Reliability is our top value. Not only has the company established its global position as a highly credible company, which enjoys all the benefits of this credibility, but it also forms business connections with large and credible companies, thus reducing risks regarding coal supply and its on-time arrival in Israel. 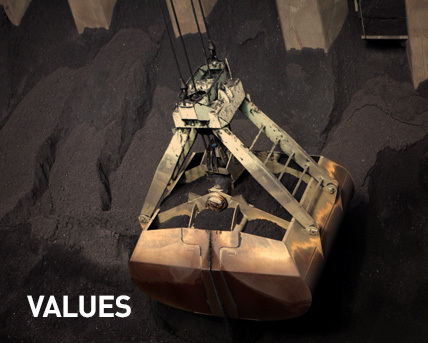 Commitment to Quality – We purchase coal that meets quality requirements in terms of caloric value as well as in its compliance with environmental standards. 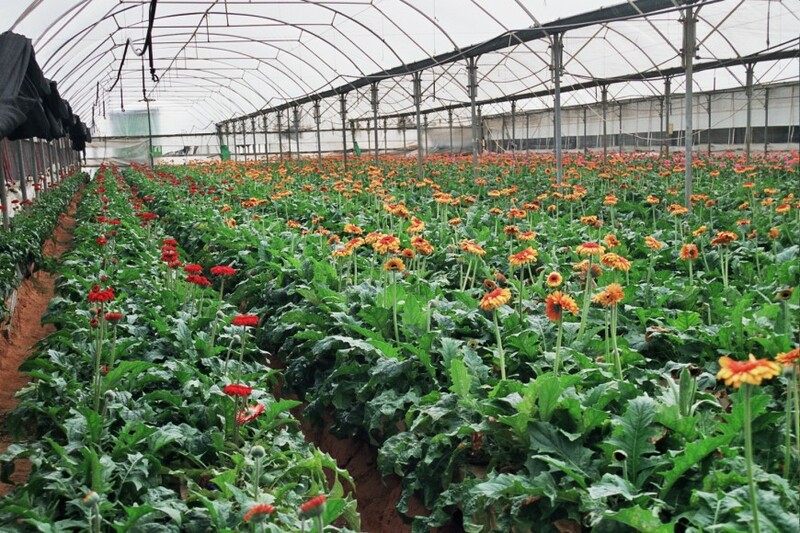 Compliance with environmental standards is not related only to regulation, but also to the Israeli people’s environment and to the protection of clean air. As the NCSC, we invest great efforts in searching for the most suitable sources for quality coal which is the least contaminating. Cost Savings – The cost of coal is one of the major factors impacting electricity costs. 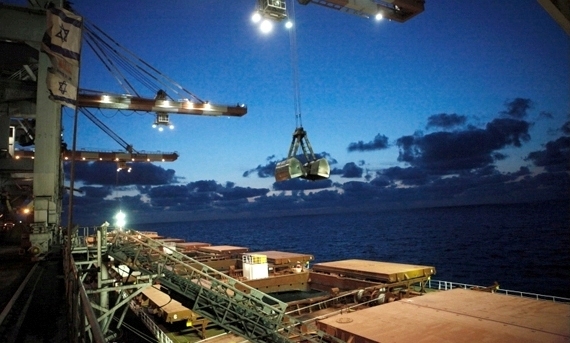 We create favorable conditions for cost reduction in the areas of coal purchasing and shipping, in order to reduce the expense of electricity production, thus saving money for the Israeli economy and consumers. Risk Management – We strive to reduce Israel’s dependence on a single coal source, and to create coal supply alternatives during a political or global crisis. Preserving a variety of suppliers also affects our negotiation abilities for purchase contracts. The ship carrying the largest coal cargo ever to visit Israel is the Ocean Vanguard, with a cargo of 203,384 tons. Fourteen parameters determine the quality of coal. Some of them are directly related to the effect of coal on the environment. Based on these parameters, the Israeli government has formulated strict standards for import and use of coal designated for the electricity production process. We meticulously ensure that the coal purchased meets the quality standards set by the government, thus reducing air pollution in Israel. Prior to each coal purchase, we utilize the services of leading laboratories in Israel and worldwide in order to perform sample checks for coal, providing us with information on its quality. The National Coal Ash Board was established for the purpose of protecting the environment, and its objective is to promote beneficial usage of coal ash – the mineral residue remaining from the coal burning process in power stations. Using various processes, Coal ash is transformed from contaminative waste into a useful resource holding economic, technical quality and environmental benefits. Coal ash is an excellent alternative for various natural raw materials, and enables avoiding the production of these materials, which entails eruptions of contaminating substances into the atmosphere, including greenhouse gas and poisonous gases. Coal ash is mainly used in Israel as a raw material in the construction and infrastructure areas. In construction, it is used as an additive to cement and concrete, thus reducing the discharge of carbon dioxide during the manufacture of clinker (a sub-component of cement). Due to the lightweight, airy structure of the coal ash, it also serves as a raw material for bricks, and improves their insulation capability. Coal ash thus contributes to energy savings and to the environment. Coal ash serves as a structural filling for road paving, as a component of asphalt, and is also utilized as a bed for growing plants, for improving inferior soil for agriculture, and as a stabilizer for sewage sludge which is used as fertilizer. Daisies on a coal ash bed.